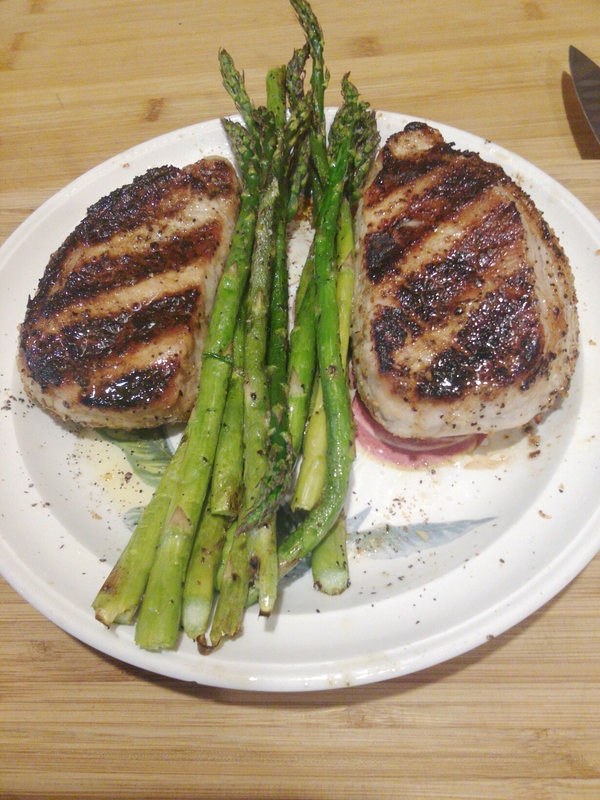 Thursday night quick brine grilled pork chops and asparagus. Came home hungry threw some salt, sugar into water and soaked the pork chops about 1/2 hour. Grilled them on the BBQ and ate with a little applesauce. Lyn enjoyed very much and that makes me happy.